Erin Nichols wrote this little nifty book for us. In her introduction she gives helpful tips, most important of course: how to prepare you alcohol so it freezes. If you remember science class or if you’ve ever tried it yourself: hard liquor, such as vodka, does not freeze. It might crystallized a little bit but that’s all. You need to cook some of that alcohol away before you can freeze it. 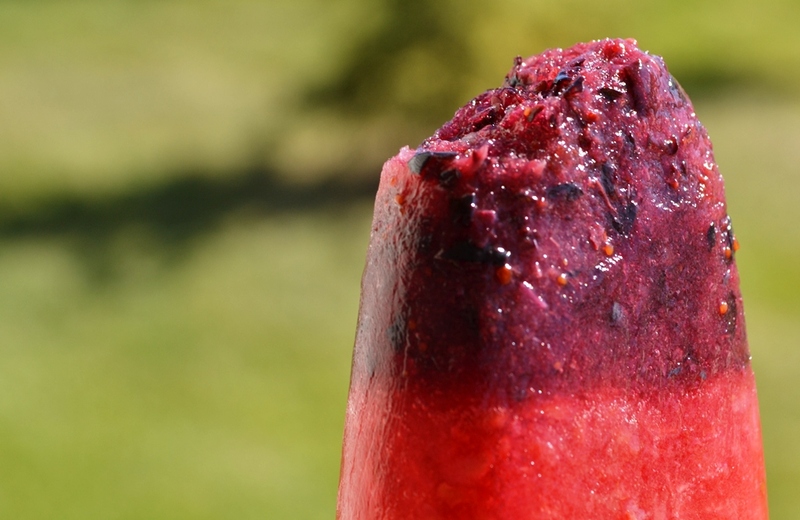 Additionally, there are hints on how to flatten pop, make syrups and how to remove those gorgeous pops from the mold. There is nothing worse than a broken Popsicle. The rest of the book is divided in 8 chapters as follows: Colorful Cocktails, Tropical Treats, Classic Cocktails, Fizzies and Wine, Fruity Refreshers, Party Drinks, Pudding and Cream, Dessert on a Stick. I decided on the Triple Berry Treat simply because I had vodka in the house and couldn’t be bothered to go and buy anything else. A nicely stacked booze bar certainly helps here if you liked to make a bunch of pops. The TRiple Berry Treat needs 3/4 cup prepared vodka, which means you need 1 cup of unprepared vodka. You will also need a sauce pan, a timer, and a heatproof bowl to store the alcohol. Add the alcohol to your sauce pan and turn on high. It will take about 5 min until the alcohol starts boiling, do not leave it by itself. Once it bubbles set the timer to 2 mins and once the time is up remove the pot from the stove immediately and pour the hot liquid into the bowl. Tip 1: Be careful! Hot liquid burns your skin quickly. 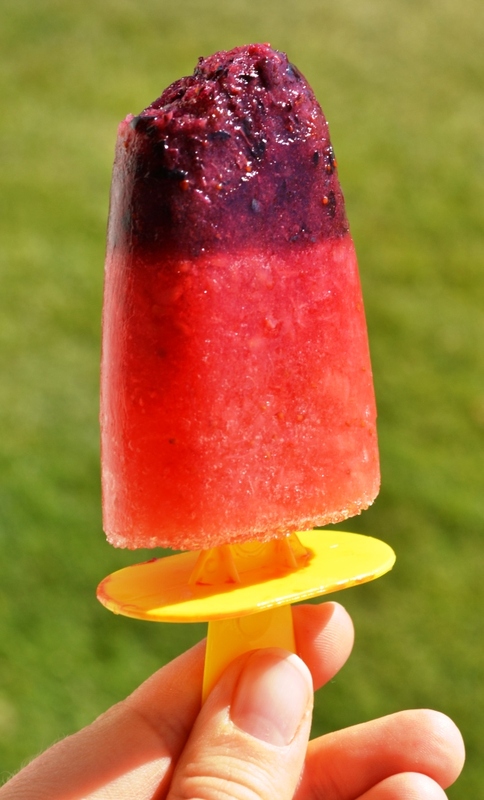 I used frozen fruits because it was more convenient for me. You need a bit more than 1/2 cup of fruit to make puree. I recommend to use you stand up blender. Add the fruit and a hint of water and turn on the blender. Tip 2: 1/2 cup of fruit is not much to blend in a blender. You might want to make more and use the puree for baking, smoothies, or just simply freeze it and use later. Once you have the ingredients it’s time for mixing it up. Place one fruit puree into a bowl, add 1/4 cup of prepared vodka and 1 tbsp. lemon juice and mix well. 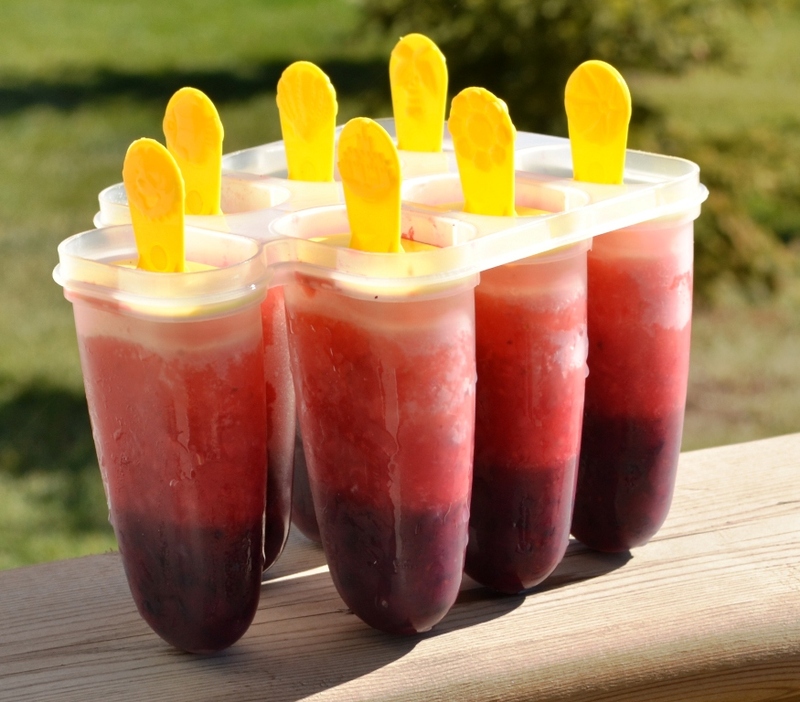 Starting with one puree, fill it into the Popsicle molds, dividing it equally. I started with the darkest, which was the blueberry. 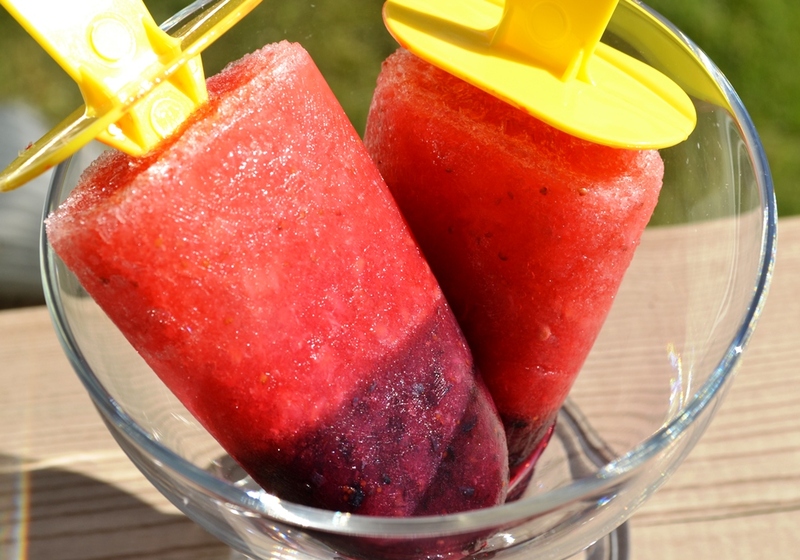 Do not add the sticks but place it in the freezer without them for 1 hour. Remove from the freezer and repeat with the second puree and let it freeze for an hour. Repeat with the third puree and then add the Popsicle stick. Let it freeze for at least 24 hours before serving. 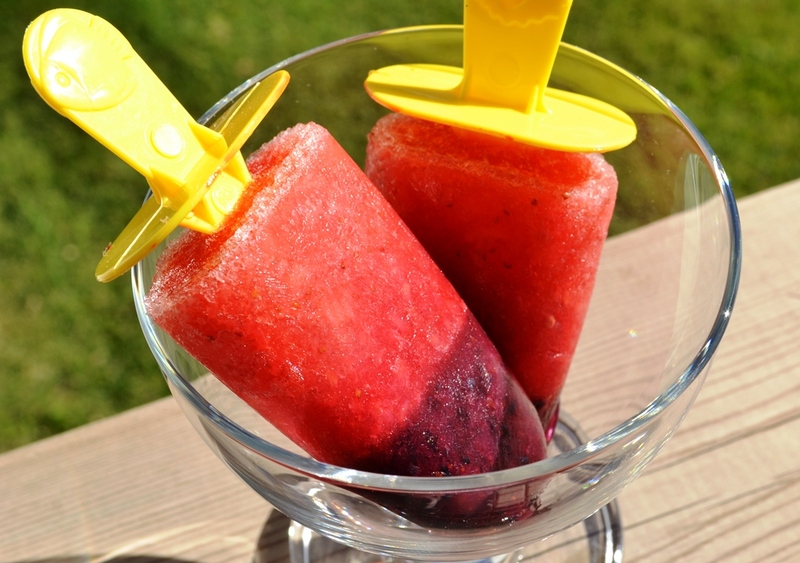 To remove the poptails, let the mold stand in slightly warm water for a minute. Then try to wiggle each one out of it. If that does not work, put it back in the water. The alcohol flavour is definitely there when you eat the poptail. However, I find the lemon flavour it bit too strong. So next time, less of that. I enjoyed the Poptail book much, it has the classic cocktails but also some interesting twist. I might surprise some dinner guest with an interesting dessert.